My final post for this 12 by 2012 project. 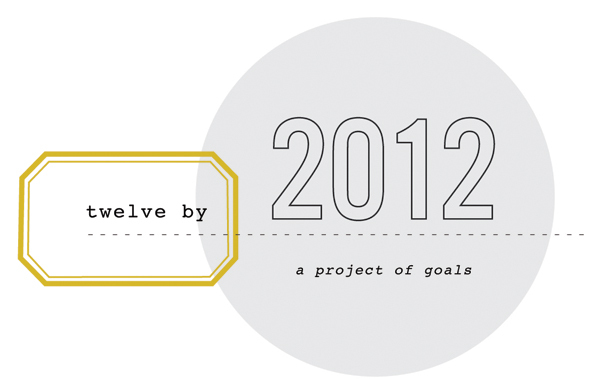 There are hits and misses but the project really did get me focus on things I need to do before 2011 ends. 1. Get my pre-pregnancy body back (I still have 20pounds to go) – This is a FAIL. We will be having a weigh-in tomorrow and will be competing against my sister-in-law and her husband (aka Biggest Loser Couple). The winning couple wins a plain ticket to Boracay. 3. Attend a planaforma or barre3 class or some form of fitness class – Didn’t happen. Just had too much stuff on my plate. 4. Print and create baby Warren’s 3month scrapbook (he’s one month now) – Will be printing this by next week. Had a few pictures sorted out already. 7. Help hubby with his business idea – Moving this to next year’s goal. 9. Reach 10k hits in this blog – SUCCESS! Hit the 10K mark a few days than target! Thank you!!! 10. Setup my home office (been in my to do list for 2years already) – Didn’t happen this year. 12. Make that Holy Land trip (incentive as financial consultant) – DONE! Even reached Star Club level!